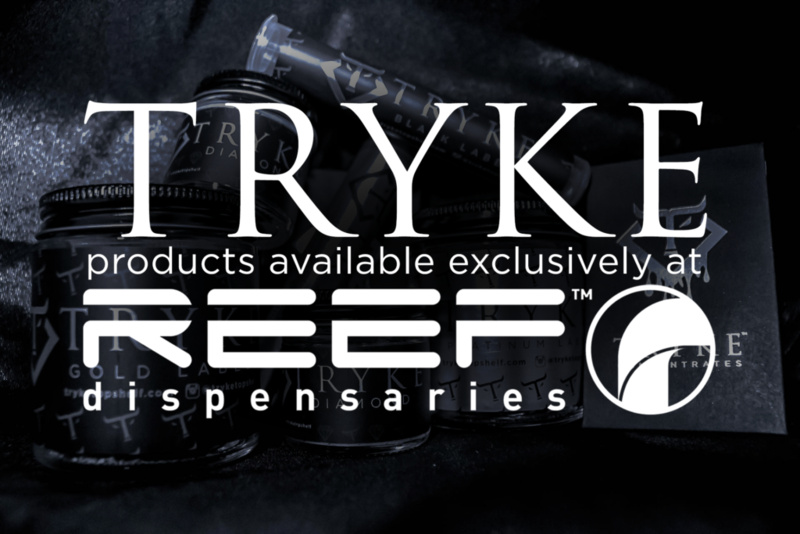 Reef Dispensaries carries a wide variety of flower tiers in our line of Tryke brand products. Tryke Diamond: The scarce, aristocratic Diamond designation is saved only for our most sought-after, mythical top shelf strains, such as Khalifa Kush and the Exotikz by Berner line. These arresting, aromatic selections are engineered only for the aficionado, providing both a unique appearance and otherworldly experience. Khalifa Kush: Founded by Wiz Khalifa, “K.K.,” as it is sometimes called, is one of the most popular strains on the market and the industry leader in the celebrity-branded cannabis arena. Tryke Companies is the first company to cultivate Khalifa Kush on a mass scale, in partnership with Wiz himself. Khalifa Kush is in high demand, quickly selling out each time a batch is released. Khalifa Kush products are available exclusively at Reef in Nevada and Arizona. Tryke Concentrates: While cannabis is historically mainly consumed using its budded plant form, numerous scientific breakthroughs have been discovered over the years with extracts. We produce our own in-house extracts called Tryke Concentrates, which yield much higher THC levels, sometimes up to 80%. Tryke Concentrates are available in each shatter, crumble, rosin, and budder consistencies, and also offered via preloaded cartridges and dabbable syringes.